When Desiree Lingerie hires Josie, she’s delighted to find her high school teacher, Mrs. Hayes, is now a manager at the chain. Less thrilling is the mini-reunion with her mean girl nemesis, Frankie Martin. 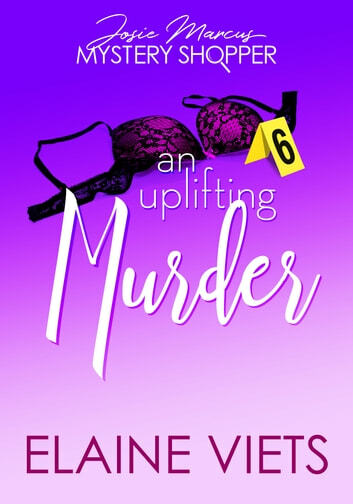 But after Frankie is killed just steps from the shop—and her beloved ex-teacher is identified as a prime suspect—Josie gets hooked into another murder investigation. Mrs. Hayes is spilling over with motives—years ago, Frankie destroyed her career. Unfortunately, her alibi is pretty skimpy. 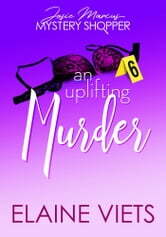 So, with only her secret shopper smarts and a bit of amateur sleuthing experience to support her, Josie must strip away the lies in order to bust the real killer before anyone else becomes tangled up in this case.